Each product or service is rated on Quality, Reliability, Price/Value, and Referability. Each area has an individual score, and creates an overall Trusted Review™. 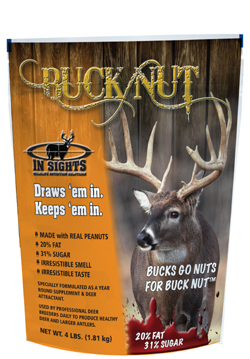 I put out a 40-pound bag of In Sights Nutrition’s Buck Nut, also sold as Nut ‘N More, in a high-traffic deer area to test how they would respond to it. They really loved it and cleaned the entire pile up within a very short time. Baiting deer is illegal in Minnesota so when I was asked to do a review of In Sights Nutrition’s Buck Nut, I had to think of how I could use it here. I decided to use it on a new hunting property I just acquired to inventory the deer there. My thoughts were as follows: if this stuff is attractive to deer, they will find it and allow me to get game camera photos of the population. 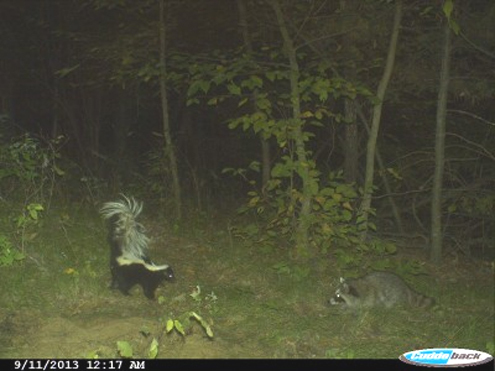 I set up a trail camera in a high-traffic area consisting of an intersection of deer trails. I poured out a 40-pound bag of the product on the ground in a heap. I felt that this would give me a week or two of looking over the deer on the property before it was gone. I put out a 40-pound bag of In Sights Nutrition’s Buck Nut in a high-traffic deer area to test how they would respond to it. They really loved it and cleaned the entire pile up within a very short time. To say it worked would be an understatement. I checked the trail camera only 48 hours later and the product was almost gone. I had more than 100 photos of does and fawns, foxes, raccoons, skunks, squirrels, and even a bear. Virtually every creature in the forest went nuts over this stuff. I had photos of one doe that came back to the product every four hours around-the-clock for two days! She was addicted. I did not get any photos of bucks, but I think since they have a larger home range, they simply didn’t get there in time. It has now been a week since I put the stuff out and the critters are digging holes in the ground and the area is torn to shreds where I piled the product. Buck Nut is made primarily of peanuts, with a high fat and high sugar content. It comes in a 4-1/2-pound bucket, and is the same product that they provide to deer breeders labeled Nut N More. It is designed to cause captive deer to feed more heavily and serve as a supplement. I have no doubt that it works very well in that application, too. We do not have hogs in this area, and what few turkeys are around weren’t in that area at the time, but I have no doubt that hogs would go bonkers over this stuff. I was really quite surprised at how much the deer went nuts over it. I guess the way to judge quality on a product that is made to attract deer is by how well the deer like it. There is no doubt that the deer loved this stuff, and they’d give it a very positive rating. It seems to be high in quality ingredients, with not a lot of filler. If I compare it to corn, which I have used in the past to get photos of area deer, I would say that this product clearly has a significantly higher attraction rate than corn. The doe that came back to the bait every four hours until it was gone pretty much sums up this category. Attracting deer is one thing, but bringing them back over and over, even in broad daylight, is another entirely. 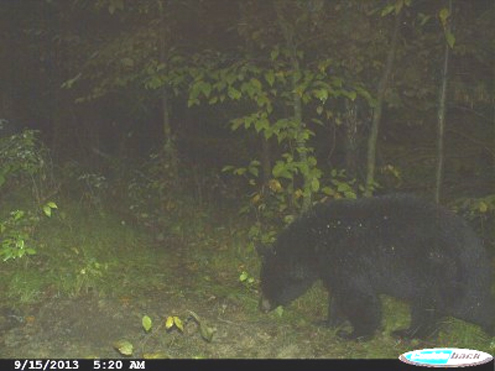 I run a lot of bear baits and one of the most important issues in bear baiting is getting them to consistently return to the bait site even when there are a lot of natural food sources around. This product does that with deer. Another factor in this equation was the fact that we had a huge mast crop this year and these deer were attracted to the product, despite the fact that the woods were full of acorns at the time I put it out. It rained really hard one of the days the product was out and that did not seem to adversely affect it at all. This is the only weak spot in the product. At $16.99 for a 4-1/2-pound bucket, this stuff is quite spendy. Considering the rate at which deer munch through it, it could be a wallet buster. In my area, I can buy a 50-pound bag of corn for $10, so the In Sights products are significantly more costly. However, if you take into consideration the power of its attraction it gets a little easier to swallow. I think that if a guy thoroughly mixed a bucket of Buck Nut with a 50-pound bag of corn, you would have a pretty cost-effective deer magnet. That’s what I plan to do when I hunt in Kansas where baiting is legal this fall. 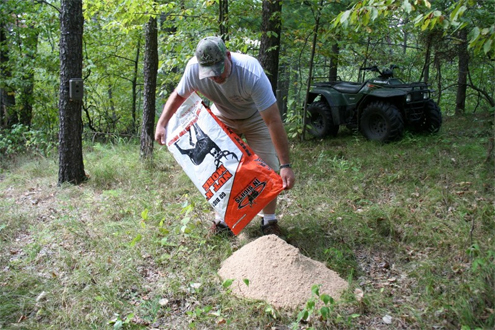 One other option is to get the 40-pound bags of Nut N More that is marketed to deer breeders. It’s the same stuff. They also have a similar product called Buck Draw which is more cost-efficient, it comes in 25-pound bags and sells for $18.99. This one is easy. Would I recommend this product? You bet. Frankly I was very surprised at how well it worked. I think it would work most anywhere there are deer and you are feeding them for any one of three reasons: baiting, winter supplemental feeding, or bringing them in front of a game camera for a look at them. Good stuff. BUCK NUT: A specially formulated, industry leading peanut based powder supplement/attractant that that big bucks crave. Deer quickly become addicted to the flavor and nutrients found in BUCK NUT. 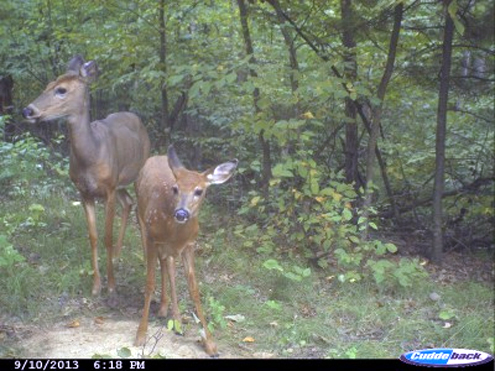 As a supplement, BUCK NUT promotes better health in doe populations during and after conception, healthier fawns and bucks while also aiding in increased antler growth. As an attractant BUCK NUT has an enticing aroma that will draw deer in from long distances and keep them coming back for more.